On 12 and 13 October 2015, the 7. 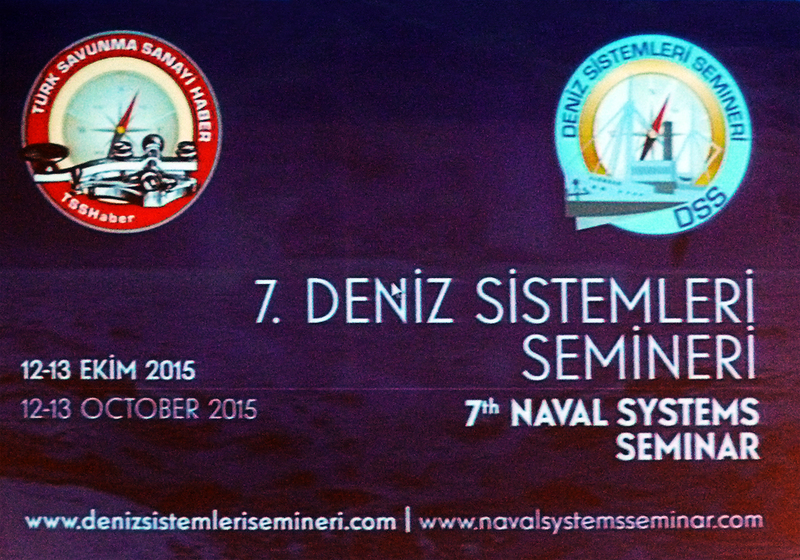 Naval Systems Seminar was held in Ankara. I am personally delighted to see this venue started as a one-man project turned to be an established organisation appreciated by everyone. Turkish Navy was officially present in this year’s seminar. In previous years Turkish naval officers participated the event on their own without an official endorsement from the force. It is interesting to notice the gradual changes happening in Turkish ship building industry through this event. This year for example Turkish shipyards decided not to attend with exception of Sedef Shipyard. Is this because the shipyards had to take part in IDEF Defence Fair in spring 2015 and used most of their budgets there, or is it because they know that there are no hot contested projects on the tables? 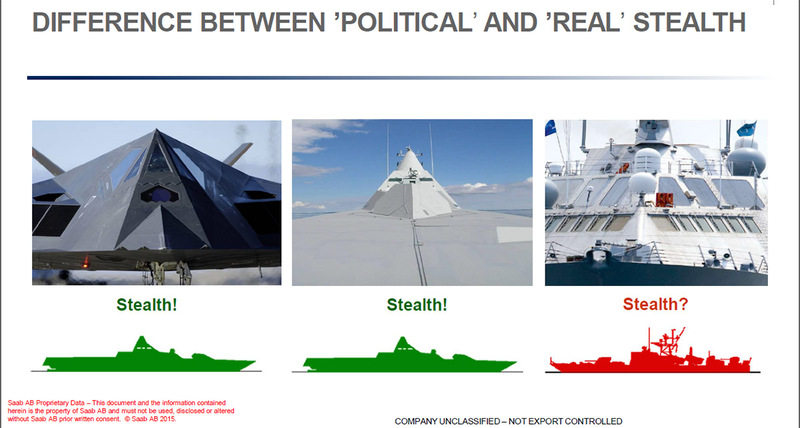 Saab making fun of LCS. Most notable absentees were foreign companies and organisations such as UK Trade & Investment Defence & Security Organisation. UKTI DSO which was a prominent participant in early events was absent like US and German delegations and companies. Rolls Royce was the only British company present. After acquisition of Tognum they have become the major engine supplier in many Turkish naval projects. On the other hand the Spanish were there with their huge model LHD model and the Swedish with their smart presentations. Large Turkish defence companies like Aselsan and Havelsan were also present since they are among the main sponsors of the Naval Systems Seminar, they did not have too much options. Aselsan is enlarging its product range for naval applications. They offer a variety of devices from 3 dimensional radars to torpedo decoys; from EW suites to remote-controlled guns. Havelsan on the other end is offering mainly command and control and situational awareness solutions for naval applications. The enthusiasm of the first years have turned in to a more sober mood. In the previpus events people were talking about the things they are going to do in the future. Now they are talking about the things they have done and leason learned by doing them.